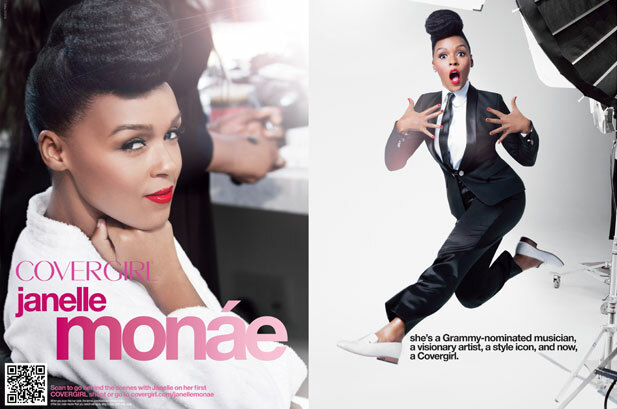 I was pleasantly surprised today to learn that Janelle Monáe is the new face of Covergirl. She is such a beautiful woman. To be honest her music is not the kind of music I listen to usually but I love the fact that she stays true to herself by always wearing her signature look- Black and white suit. I fell in love with her during her tribute to Prince I can't remember for which awards show anymore. Her energy was crazy on stage and really brought the house down. oh boy ! I could not forget about her long and beautiful natural hair. She really set a trend with that up do. "I believe it's time that women truly owned their superpowers and used their beauty and strength to change the world around them," said Monáe in a statement. "One of my core values is to help redefine what it means to be a strong and beautiful woman in the music and fashion worlds and to empower the wonderful things that make us unique.Becoming a CoverGirl is truly an honor and a gift. It opens up a new platform for me to inspire women to feel stronger, braver and more beautiful inside and out." 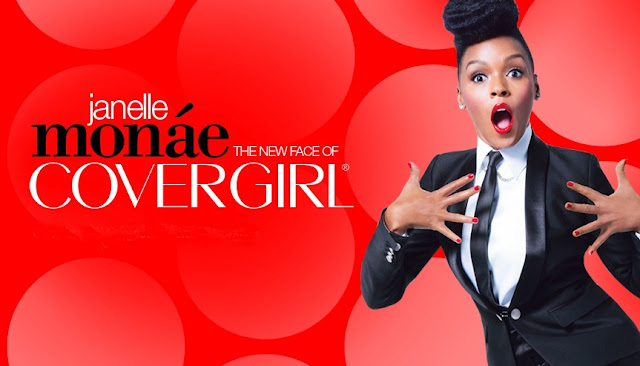 What do you think about Janelle becoming the new face of Covergirl ?